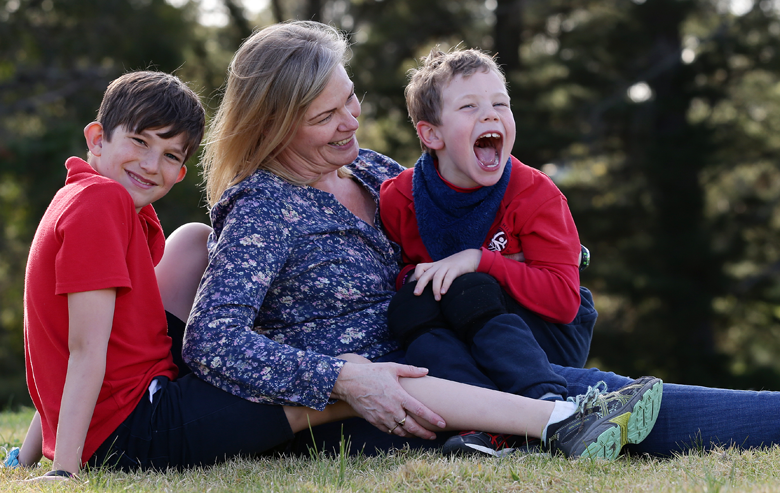 Photo: Herald Sun, Positive Moves - Ethan (right) with his mum Cindy and brother. Yooralla’s early intervention support has been vital for Ethan, who was diagnosed with cerebral palsy following complications at birth, says his mum Cindy. “Ethan would not be able to live the life that he leads right now without the support of Yooralla’s early intervention. The list of things he would not be able to do without early intervention is endless!” she says. Ethan, 6, who uses a wheelchair and a walking frame, now attends a mainstream primary school with the support of a Yooralla Occupational Therapist. When the family was first told that Ethan had cerebral palsy, Cindy says they didn’t know who to turn to for support. “I was just overwhelmed with what I should be doing,” she says. When Ethan was 12 months old, the family was linked with Yooralla’s Specialist Children’s Supports and started developmental and rehabilitation programs including physiotherapy and speech therapy. Cindy says that Yooralla provided support not just for Ethan but for the whole family. “Yooralla guided us through the initial diagnosis of cerebral palsy and linked us into other supports and services, which we would not have known about. It gave us a clear direction and positive reinforcement that we were doing the right things and were on the right track with Ethan,” she says. Cassie Kenyon, Director of Yooralla’s Therapy team, says that getting the right support early on was critical for both children and their families. “Early invention is crucially important because during those early years of a child’s life, that’s when their brain is developing very quickly, it’s a time when the child is learning and developing faster than they ever will again,” says Cassie. Early Childhood Intervention Services’ (ECIS) funding covers supports such as physiotherapy, occupational therapy, psychology, special early childhood educators and family support and counselling, for children from birth to the age of six. ECIS funding is currently transitioning from state-based block funding to the National Disability Insurance Scheme (NDIS) funding. “I see this as smoothing out the transitions for people between preschool and school age, and again between primary school and high school…and then again from high school into employment,” says Cassie. Yooralla also supported the family to prepare for the NDIS. Cindy says without Yooralla’s early intervention support, Ethan wouldn’t have been able to lead the life he leads now. “Yooralla also supported us in applying for equipment such as specialist seating, toileting and bathing aides and a communication device. Ethan is becoming so much more independent and he is full of life and determination,” she says. Find out more bout Yooralla’s Specialist Children’s Supports, and information on the NDIS for children – in Yooralla’s free guide to the NDIS for your child. 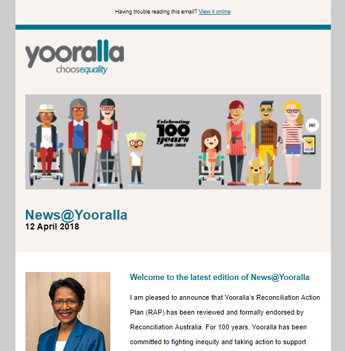 You can also book a free one-on-one discussion with Yooralla to help you to prepare for the NDIS and subscribe to our fortnightly newsletter for regular updates on the NDIS.